EXPLORE TEC specializes in content customization services based on VR (Virtual Reality)/AR (Augmented Reality) hardware. 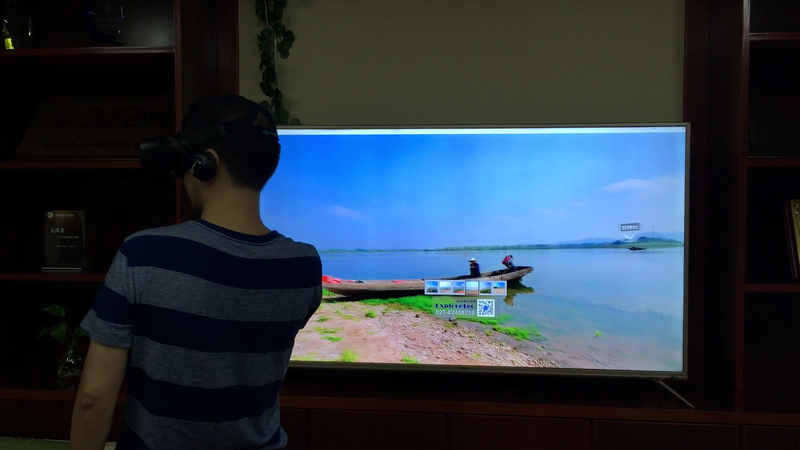 VR/AR display is mainly used in urban planning, tourism hotels, real estate business, building decoration, exhibitions, industrial engineering, entertainment games and other industries. 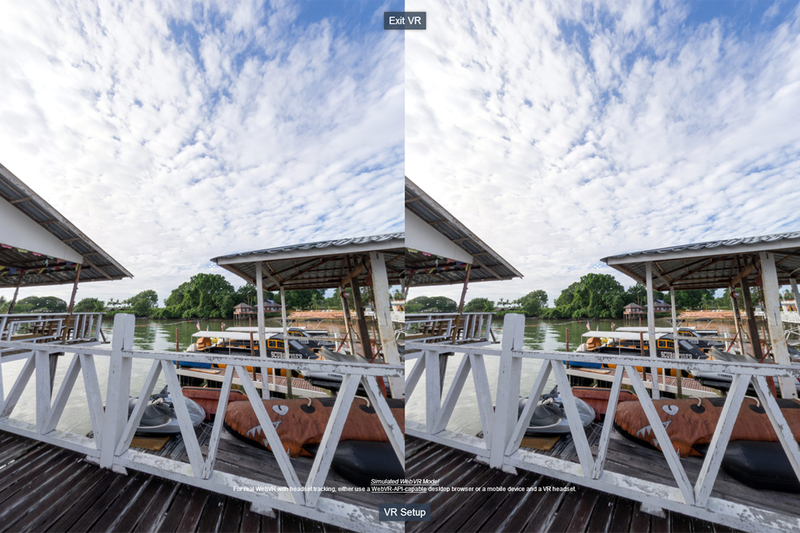 VR/AR Scenic Spot Display: Travelers can experience the sightseeing and tourism resources in the VR/AR landscape of their destination prior to travel, thus to develop more interesting itineraries and travel plans. For tourism enterprises, the virtual reality will become a new way of marketing and scenic navigation supporting means to attract tourists to take the initiative to understand the characteristics of tourism products, so as to expand the influence of business cards in scenic spots and enhance brand services and image. It can also be bound with the scenic reservation system to improve the scenic sales. VR/AR multi-dimensional travel: through all the panoramic HD shooting of the sea, land and air, together with VR/AR post immersion, interactive effects processing technology, so that the experiencers can experience the region from an unprecedented perspective beautiful scenery. The scene can be reconstructed by combining with scenic history and culture, through VR virtual scene reconstruction, thus to bring the character into the scene to reproduce the history; it can open space travel, geocentric travel, deep sea travel, miniature world, prehistoric era, instant mobility, relatives and friends and other multi-dimensional travel space. VR/AR Hotel Display: Deploy the ultra-clear VR/AR smart hotel solutions for hotels. By starting from immersive experience, we aim at creating a complete set of intelligent project integration services from VR/AR lobby, VR/AR indoor rooms to VR/AR access routes. Prior to booking a hotel, travelers can view hotel rooms and surroundings through virtual reality devices, experience their services, conveying hotel advantages and enhancing customer stickiness. It can also be bound with the hotel reservation system to increase booking rates. VR/AR Real Estate Sales: After the completion of the Real Estate Construction project, it can show customers VR virtual reality in advance. Experiencers can choose a variety of sports modes such as walking, flying, driving and other internal and external roaming, 360-degree visual real project environment, layout configuration, decoration style, design details and other information. Across geographical and time barriers, optimizing the real estate construction sales and marketing links. Real estate developers provide the model rooms, residential landscape, building layout, the surrounding configuration and future planning, including real estate virtual reality solutions. 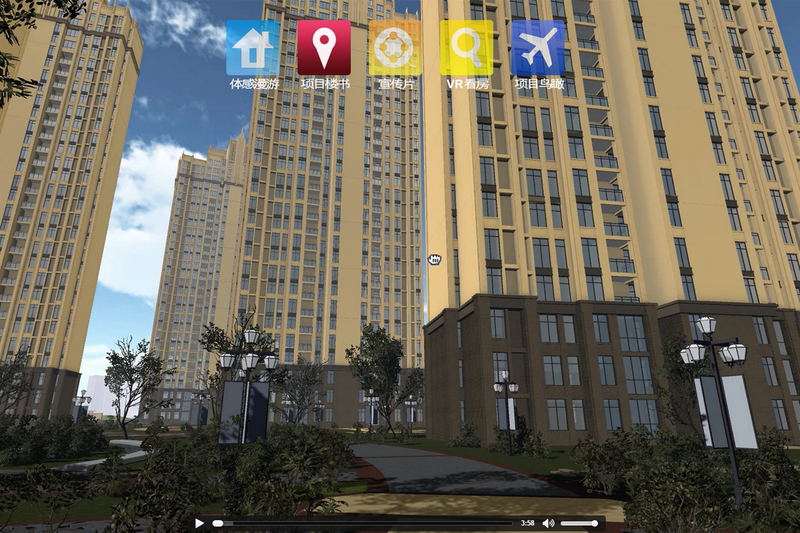 Buyers can get rid of restrictions of the space, time and scenes by exposing to high immersive simulation of real estate stroll leisurely and taste, thus to truly observe the building structure, spacing, lighting, greenery and other external conditions, you can also choose to enter into it to view apartment layout, area, price and visual field and other information of the building VR model, which is the support props of the on-site sales, but also an effective tool of off-site sales and marketing. VR/AR model room: The immersive viewing experience, all the exterior, sunlight, floor height, apartment layout, size, furniture, furnishings can be switched, but also can be switched in the raw model room, working model room, hardcover model room. The interactive VR technology allows customers’ intuitive feel to be recorded, they are personally involved in the design, thus to bring the customer a sense of close life and a blueprint for the effective stimulation of the transaction. It can also speed up the model building, so that developers can better prepare for marketing. VR/AR model break the geographical and space constraints, and even the outdoor environment surrounding the property can be achieved with the use of the UAV technology. Developers can give buyers restore the reality of the walk-in, and even stay-at-home experience without any need to spend a lot of time and money to create a temporary model room. 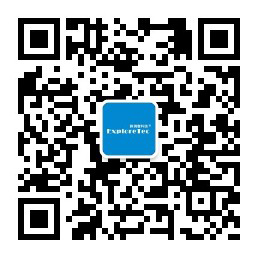 This can improve the overall efficiency of the customer showings and sales staff to sell the house, because of its convenience; it can also solve the problem of cross-district showings. VR/AR Commerce: The use of VR/AR can have the organic combination of investment promotion, commercial space design and commercial investment and sales. For example, the implanting of the branded merchants into VR/AR can be used in commercial space navigation, incorporating the activities of merchants into VR/ AR maps, thereby forming an effective customer guide mechanism. Meanwhile, VR/ AR business can help open up online and offline communication of commercial brands, transactions, such as VR/ AR shopping, fitting, test drive and so on. VR/AR renovation is to assist real estate developers and interior designers to create immersive VR/AR showrooms and VR/AR home improvement solutions. By using VR/AR technology to get rid of the space and time constraints in the real world, thus to achieve real -time project services from design solutions, furniture, interactive experience to enable end-users to truly experience the actual effect of renovation before check-in, and help users to achieve pre-experience and program options of hardcover, soft installed, home appliances, domestic affairs. Different from the limitations of plane design drawings and 3D renderings, VR/AR creates real-time virtual reality scenarios that truly convey the inspiration and rendering of interior designers, thus to achieve the roaming perception and multi-style interaction. In the program display, terminal customers walk through the well-crafted "virtual designs" by wearing VR/AR devices to truly experience the space layout, color materials, and scale ratios of the rooms after renovation. In the choice of program, the clients enter into the scene to replace them with previous estimation of the imagination, which is conducive to be more intuitively determining the most favorite decoration program. With the help of motion capture devices, customers can even achieve more real- world interactions in virtual reality. Measurement function makes the housing decoration to be more convenient. VR/AR housing furnishing is with precise measurement capabilities, which helps designers show their clients the size, height and footprint of their chosen furniture, as well as the use of moving lines, moving in and out activities, and reserve space for digital interior planning. This effectively avoids the situation of inconvenient access due to too large or too small after actually purchasing the furniture. VR/AR house furniture, such brands provide one-stop VR/AR showroom solutions. By preparing several furniture design solutions in the same space, the consumers can come to the exhibition hall and experience different styles of furniture at one time. The materials, colors and sizes of their brand products are observed from all angles of virtual scene, and the styles are switched into realistic virtual reality scene in real time. The furniture brand can be immersive, visual and interactive presentation from culture to product, from design to store, from experience to marketing, immersive, visual and interactive presentation, thus to enhance consumer experience and empathy. By virtue of the virtual reality technology, it can help furniture brands to provide WYSIWYG, flexible and free home study shopping experience. It is to establish the one-stop virtual reality solutions for museums, science and technology museums, art galleries, planning museums, memorials, museums, museums, etc. By combining with the three-dimensional real-time scenes, texts, audio recordings, virtual roaming and many other ways, the museum's architectural features, collection details, cultural essence and content can be displayed in 360°. The use of interactive system in the design of the exhibition hall allows users to immerse themselves in the virtual world, thus to experience the real environment. The resulted fusion is more visual, complete, and vivid than a model or render, giving the user an immersive real feeling. Through the use of technologies such as VR, AR and others, artists can use more natural human-computer interaction to control the form of their works, and create a more immersive artistic environment and unrealistic dreams in the real world, giving the new meaning for the creating process. 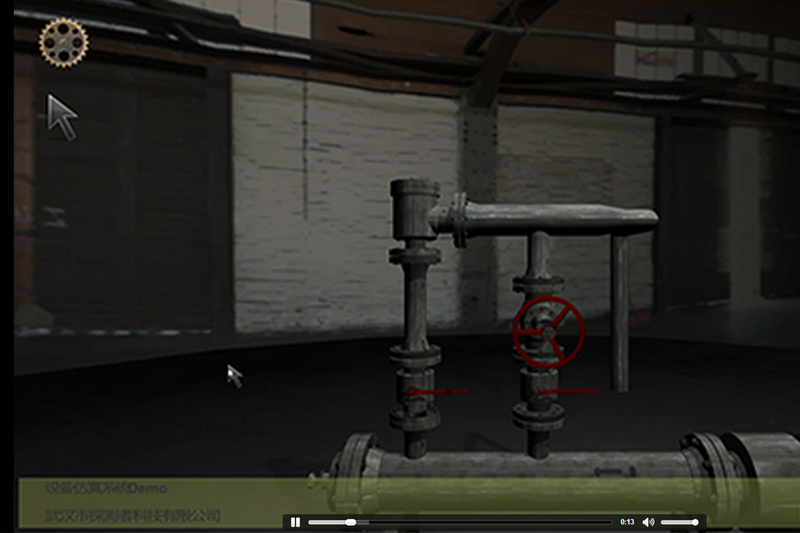 For example, a VR-like interactive device system can set audiences through multiple senses of interaction channels and device process, and artists can make use of software and hardware to facilitate communication and feedback between participants and works to create a good participatory and maneuverability. 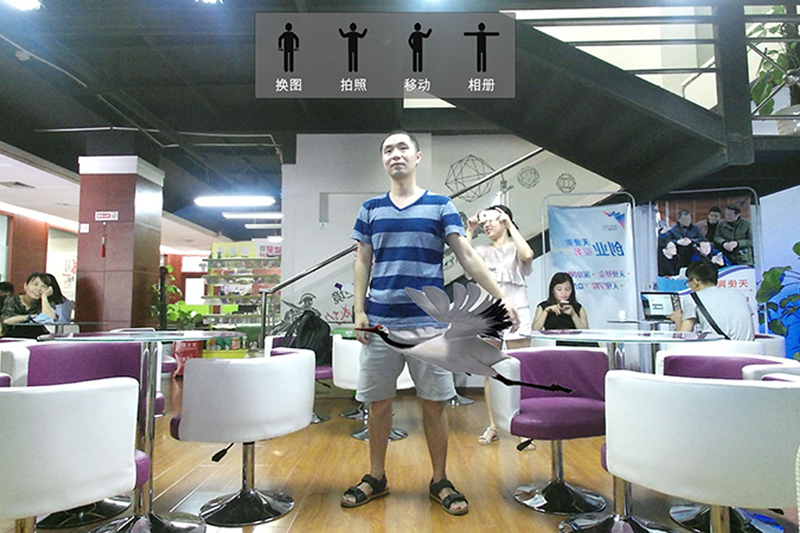 The users can also capture the motion through the video interface, and store the visitor's action clips based on keeping participants' enhanced awareness. It simultaneously shows the enhanced effects and remodeled, processed images; through augmented reality, mixed reality and other forms, the digital world can be combined with the real world, the audience can control the projected text by their actions. For example, the data gloves can provide force feedback, mobile scenes, and 360° rotation of the spherical space not only enhances the work of immersion, but also allows the viewer to enter the interior of the work to manipulate it and observe its processes, even giving viewers the chance to participate in recreations. VR/AR's on-the-spot feeling of participation and interaction can transform static art (such as painting, sculpture, etc.) into a dynamic art, enabling viewers to better appreciate the author's art of thought. Furthermore, VR enhances the ability of artistic expression, for example, a virtual musician can play a variety of musical instruments, handicapped people or people in remote areas can live in his living room to a virtual concert hall, etc. Design interface will not be limited to a device (computer, cell phone, pad, watch), and the entire world is designer's screen. Meanwhile, the design interface is not necessarily a two-dimensional plane, it can either be a surface, or it can be three-dimensional space. Costume designers can share data with users in virtual spaces. The parameters of the cloth (gravity, wind) can be selected and set for simulation and simulation of human kinetic motion. VR/AR is with strong sense of immersion. It allows players to completely cut off the real world, and think they are in a different scene or the world. When it rains, the sun father emerges from the back of a dark cloud and looks at you with smile. The light reflected on the PC screen will make you beaten by your opponent within two or three seconds. When you have a luxury outfit and hold a super gorgeous Qinglongyanyue knife standing on the throne, and suddenly seeing that the fruit knife on the table is much bigger than your own weapon..... At this time, you not only hope that the bigger the screen the better, but also hope that the real world things to be as few as possible. The screen is big to extreme that has minimal interference in the real world; at least it lets the players isolates from the real world visually. 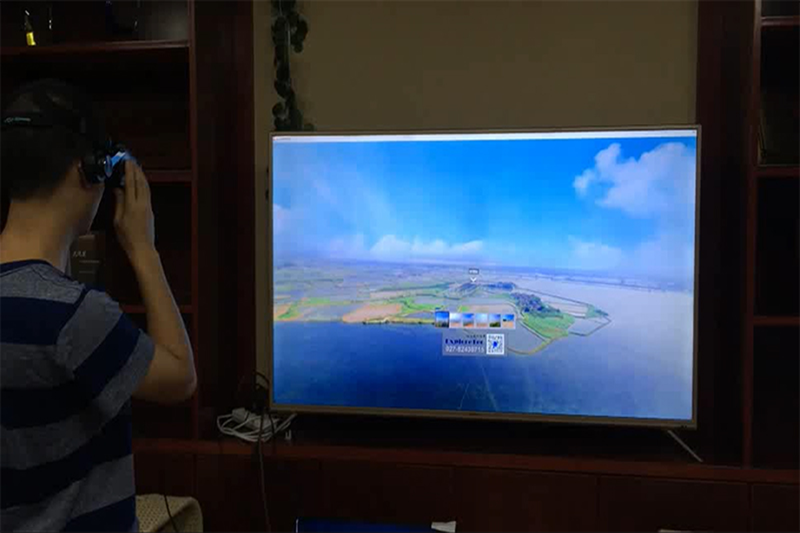 VR/AR has the environment atmosphere that is harmonious with the content of the game scene. It’s not difficult to be isolated from the real world, and it’s done by just closing your eyes. One of the most crucial functions of VR is to create a highly simulated virtual reality world. When you walk with dainty steps in the middle of the monster, the environment where you stay is filled with the grass and birds, the stars and the sea are far away, this is a wonderful experience! Warm-up Video Games (Somatosensory, AR),China.